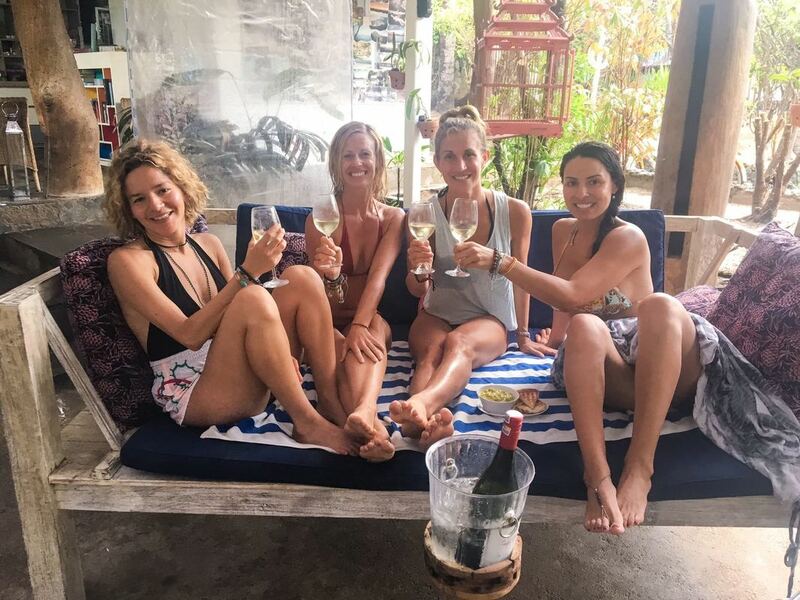 I have known Marisa Merliss and Becca Pace through their wonderful classes for several years now, as well as being their colleagues in the health and fitness industry. 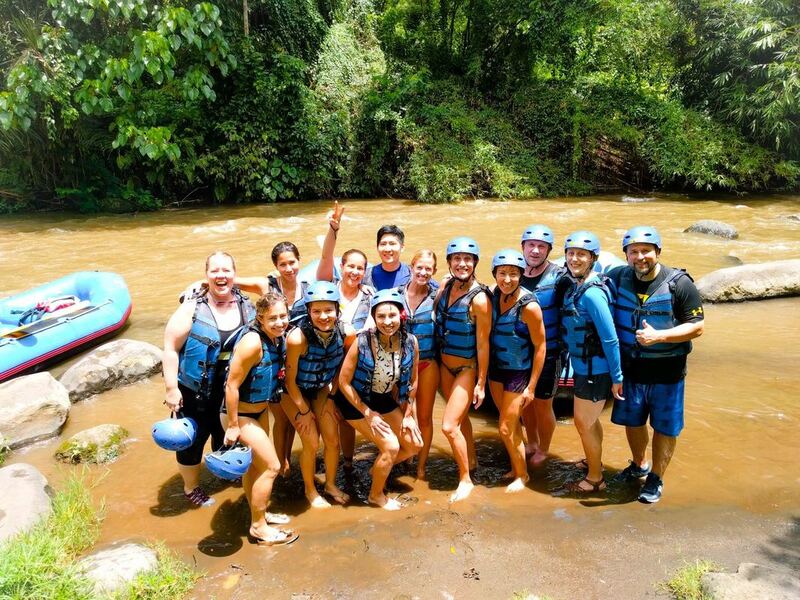 I am a certified personal trainer and bodyART instructor, and have also had overuse injuries which I've had to rehab, so the combination of bodyART and MELT was a perfect blend for my needs on this breathtaking trip! 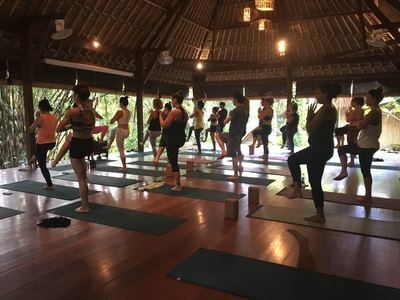 In the morning, in the stunning setting of the jungle at Naya Ubud, we had the privilege of experiencing some of the best bodyART classes I've ever taken, which built on each other day to day. 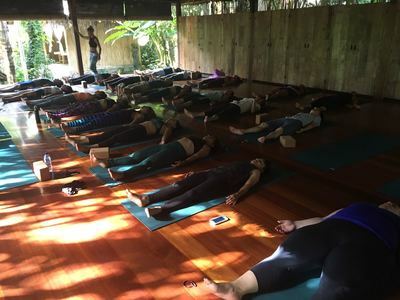 Becca's impeccable cuing and infectious, warm energy was an inspiration for my practice and energized me for the rest of the day - which consisted of organized excursions that we had the choice to participate in and proved to be an amazing way to see Ubud and the surrounding countryside. 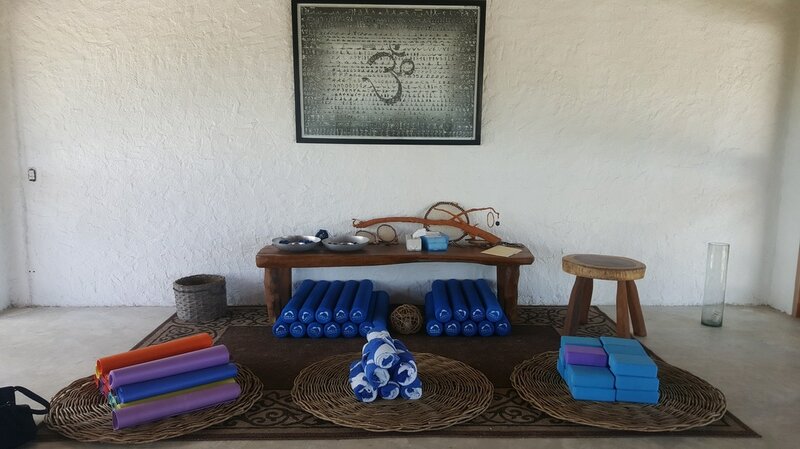 We got a great taste of Balinese culture without feeling "touristy," and then got to wind down our day with a moonlight MELT class with Marisa, the perfect compliment to our dynamic morning workout with her gentle energy and methodical relaxation on our foam rollers. I noticed my circulation got better, my nails began growing (yes collagen!) and overall I felt both energized and grounded. Finally, I can't say enough about the gorgeous setting at Naya. The three meals that were cooked fresh in an open kitchen daily were the best food I've EVER eaten and the communal feel of the resort made for an easy way to get to know my fellow retreaters! I wish I could attend every retreat that Revive is hosting - it was an unforgettable experience! The girls from Restorative Retreats made my time in Bali unforgettable. 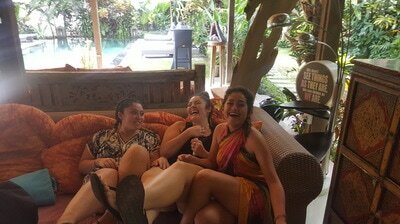 As exciting as it can be to travel to remote locations the experience can sometimes be overwhelming but Becca and Marisa went way above their line of duty to accommodate the needs of all of the retreat's participants. The retreat venue was spectacular, the food had a perfect combination of healthy and yummy, the fitness classes were both relaxing and challenging, and to top it off Becca and Marisa are among the sweetest people I have ever met. 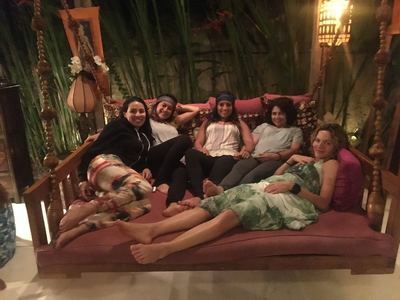 Restorative Retreats -Bali edition- not only felt stimulating and invigorating to the body but most importantly the girls made sure we were all wrapped in a beautiful compassionate, warm and loving blanket thru-out the duration of the trip. Every detail was well taken care of in a sensitive and considerate way and for that they will forever have my support. Kuddos for making the world a better place! The bodyART/MELT REVIVE Retreat which I attended this winter was a wonderfully healing and happy week, in an exceptionally beautiful and relaxing environment, at a venue who's employees could not do enough for each and all of our comfort and happiness. Becca & Marisa & team hit a " home run", not only with the retreat location and personnel, but also with every detail involved in traveling to and from the retreat, and enjoying so much of what the location had to offer. That doesn't even account for the amazing, fellow retreat attendees, and bodyART and MELT daily classes which helped us get "in balance" and "in touch" with our bodies- hearts-minds and spirits! They were most helpful in helping me adjust to a last minute broken foot , making sure I was doing the movements correctly and making other adjustments according to my aging body's needs and safety. Having never heard of bodyART or MELT prior to attending my first class in Mexico, Becca and Marisa were incredibly patient and accommodating, effectively teaching those of us new to the practices, while at the same time challenging everyone else at their varying skill levels. They truly know their practices, as well as understand the human body. I originally signed up knowing nothing of bodyART, MELT, or knowing a sole other than one friend, and was embraced by everyone and enjoyed the experience, broken foot and all. 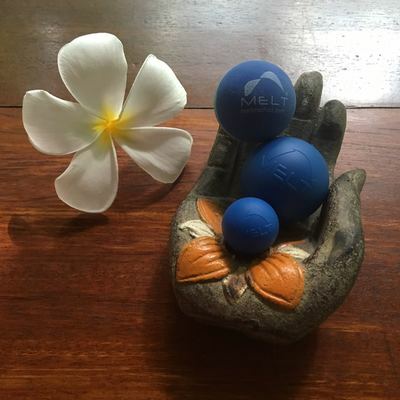 Pretty impressive... My Arizona sister found a sole Melt practitioner in town, as a result of my experience and rudimentary training, and is looking forward to her own MELT experience to help her address her own health issues. Who knew?! Go- you won't regret it! You will find yourself in a safe, warm environment, with amazing people- one and all! 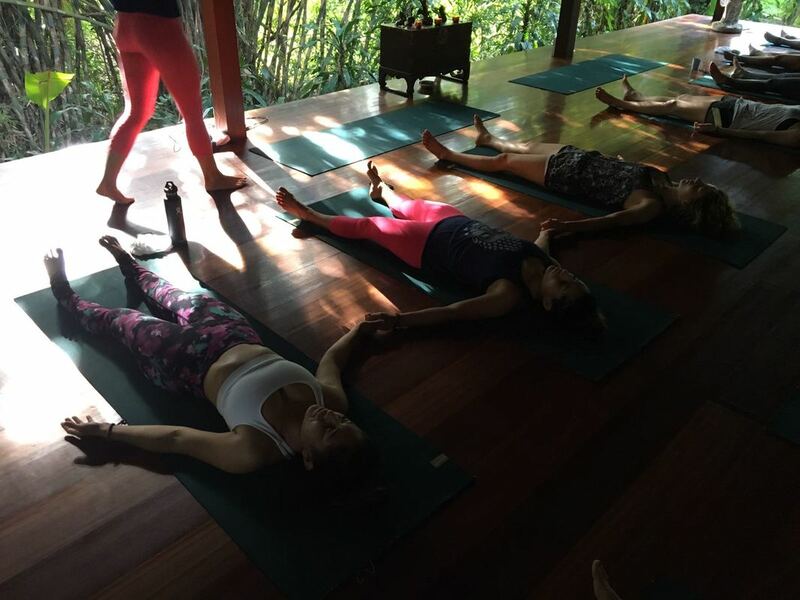 I attended Becca and Marisa’s first Revive Restorative retreat in Bali last November and it was truly a life changing experience! Last June returning home from a five day hospital stay as a result of exertion rhabdomyolosis, I knew I needed to make some changes in the way I took care of myself. I am athletic and physically active to my own compromised health at times. After neglecting my recovery and self care, my body finally shut down. I saw the ad appear on Facebook and it was a sign. I knew very little about bodyART and virtually nothing about the MELT method. I immediately wrote to Becca telling her what I just went through and that I needed to start taking better care of myself. When she explained the restorative effects of both bodyART and MELT, and how the two worked together to compliment each other as a way of both healing and reviving the body, I signed up. Not only did a trip to Bali sound magical, but I knew this is exactly what I needed! The accommodations at Naya were incredible. The place was absolutely beautiful! The central meeting area had a gorgeous outdoor pool, lounge/meditation area, which was adjacent to the main dining area. Every day we were given a fresh coconut cracked right on the spot, along with a delicious green juice! The staff was so gracious and friendly, and the food was amazing! I am not a vegetarian by any stretch of the imagination, and although I was able to opt to have chicken or fish with my meals, the food was so incredibly delicious I didn’t need to add it! We were given three delicious meals a day that complimented both the bodyART and MELT classes. Each of the seven days we were given a bodyART and MELT class, both had a huge impact on my physical and emotional recovery. 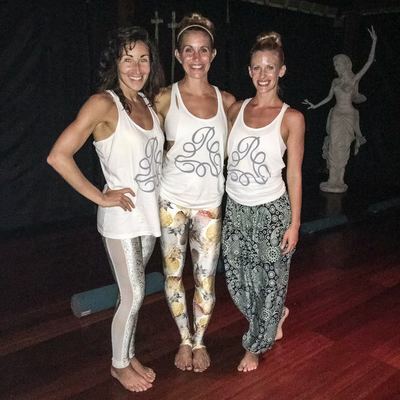 bodyART, which was led by Becca, is a blend of yoga, tai chi, dance, with a “fire” element of cardio endurance. The ultimate yin/yang practice as they say. I immediately fell in love with it because it had the fire element as well as the challenging stillness, which allowed my breath to guide my body’s recovery. I often found myself in tears at the end of the class it was so physically and spiritually cleansing. At night Marisa led us through the MELT method. For two months after leaving the hospital I experienced pretty severe myalgia, which MELT is very good at healing. MELT is a self treatment for the connective tissue, reversing the effects of joint and muscle dehydration which can cause chronic pain. 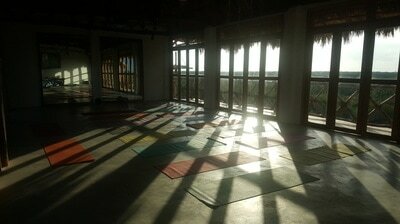 After seven days of MELT, I felt an enormous shift in my body; decreased myalgia, stronger balance and flexibility. Becca and Marisa managed to create a beautiful community in just one week. I still keep in contact with some of my fellow revivers! However, let me point out that we had the option to engage as much or as little in the excursions as we chose. For example, I wanted to go into town and participate in a Tibetan Bowl meditation while others joined a white water rafting trip. We all joined for dinner and shared our experience! If you’re considering a Revive Retreat, consider no further and SIGN UP, you will be so happy you did!